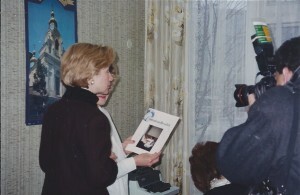 As Coordinator for health projects in the former Soviet Union, I had the privilege of being in Minsk, Belarus with Hillary Clinton for a Project Hope presentation. I had traveled the night before from Moscow, where I was hosting another delegation from New York and Chicago. The night train from Moscow to Minsk was a challenge. I was the only English-speaker. I recall my friend, Yuri, telling me, “If you think that the lady looks bad now – wait until you see her in the morning.” The ‘lady’ was the dejourniah or train matron, and yes, she looked pretty bad. I purchased a sheet and a towel, for which I paid top dollar since I was American. I also paid for both bunks in my cabin so that I would not be disturbed, but during the night, there was a loud banging at the door. The dejourniah burst in with another passenger and shouted to me in Russian that the someone would be joining me. As soon as the newly arrived passenger lit her first cigarette, I knew that it would be a long night. Fortunately, she needed to use the facilities, and when she left the cabin, I locked her out. Arriving in Minsk, I was exhausted, and yes, the dejourniah looked pretty bad. I arrived at the hospital in time to prepare for the next day’s activities. Along with several US and Belarusian colleagues, we painted the walls of the reception area with the only paint that we could find – bright orange, oil-based paint. Of course, it did not dry in time for the following day’s proceedings, and in addition to being ‘tacky’ to touch, the odor was horrific. And along came Mrs. Clinton, in a beautiful mink coat. 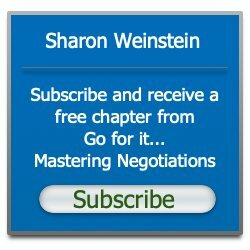 She was gracious, brilliant, charming, and she leaned against the wall. I’ll leave the rest to your imagination!